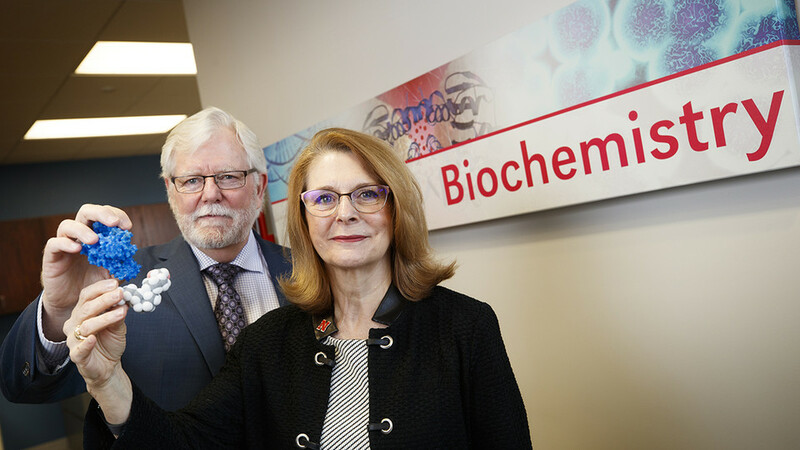 At the University of Nebraska's Department of Biochemistry, we are developing the world’s next great scientists and researchers. They come here to learn from and with our distinguished faculty — internationally recognized researchers who work at science’s cutting edge, maintaining externally funded laboratories that investigate an array of exciting questions. They come here because we offer both a strong undergraduate major and a thriving graduate program. And they come here because many of our significant discoveries are made by undergraduate, graduate, and postdoctoral researchers working closely with our faculty. 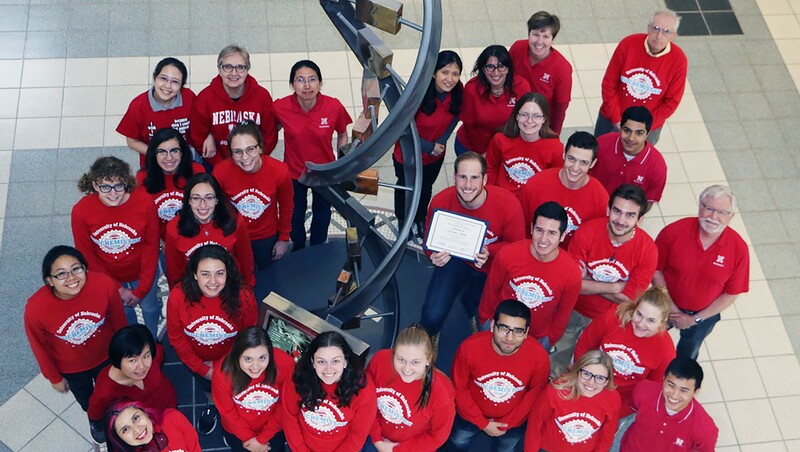 We are Nebraska's premier biochemistry program, largely because we have created an engaging environment that positions our students to succeed. We feature award-winning professional advisers, and incomparable mentorship opportunities. We get students out of the book, and into the lab. Our faculty treat students as future colleagues, working hand-in-hand on high-impact research projects addressing real-world problems related to areas such as metabolism and metabolic engineering, structural and chemical basis of protein function, molecular mechanisms of disease, plant and microbial biochemistry, and biotechnology. Our graduates go on to excel in their careers — both academic and in private industry — focusing their talents on medicine, law, pharmaceutical, bio-technology, agriculture, dental and many other fields. We are asking exciting questions. Help us answer them. We are one of only four Big Ten universities accredited by the American Society for Biochemistry and Molecular Biology. Seniors who pass the accreditation exam are recognized by the professional society as earning a certified degree! Biochemistry Club meets twice a month to discuss research, meet speakers from different fields and really push the boundaries of their education. Let curiosity move you to start your story at the College of Agricultural Sciences & Natural Resources or the College of Arts and Sciences. With specialized programs of study to match any interest area, the opportunity for hands-on experience through our nationally acclaimed undergraduate research program and a campus located at the heart of an innovative college city community of nearly 300,000 people, the University of Nebraska-Lincoln offers the ideal Big Ten collegiate experience for students at an affordable cost. The Graduate Program was established at the University of Nebraska-Lincoln in 1992. Since that time, our numbers and federal research dollars have made us one of the most successful programs at the university. The University's Biochemistry Program is widely known for the excellence of its training environment. What has not changed is our commitment foremost to the development of new scientists and researchers. Our strength lies in our devotion to you as a student, and in the supportive working relationships we cultivate in our research community.